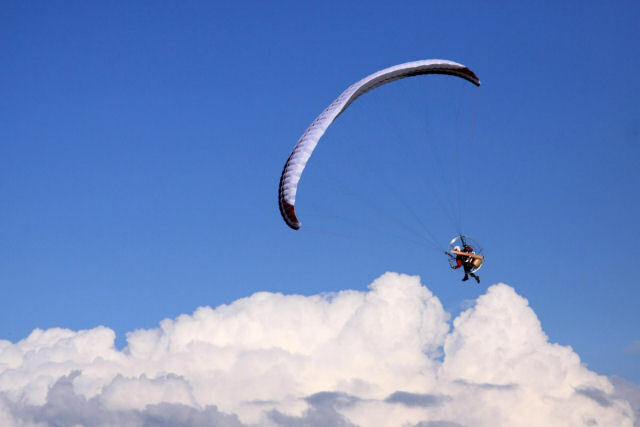 Paramotor is a generic name for the propulsive portion of a powered paraglider (“PPG”). It consists of a frame that combines the motor, propeller, harness (with integrated seat) and cage. 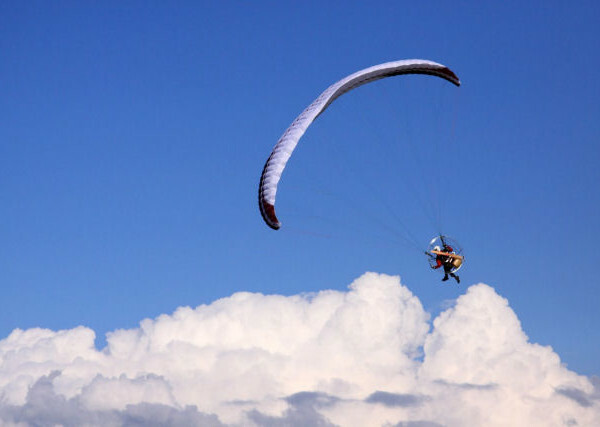 It provides two attachment points for the risers of a paraglider wing that allows for powered flight.